Below is my story, who I am, where I started and where I’m going! Fani Stipkovic is an international entertainment, business, and sports journalist, T.V personality, health and spiritual lifestyle expert and motivational speaker with almost 1 million dedicated followers over 3 social media platforms. In addition to hosting events such as ATP tournaments, and Miss Universe her self made career has lead her to over 400 exclusive interviews with some of the most renown names across multiple industries including Cristiano Ronaldo, Novak Djokovic, Roger Federer, Kobe Bryant, Richard Branson, Russel Crowe, Vladimir Klitschko, Roberto Cavalli and Bernie Ecclestone just to name a few! Fluent in Croatian, English, and Spanish Fani has been featured in numerous T.V shows and magazines throughout the world and has also been hired as a brand ambassador for top global brands. Having grown up on the Croatian island of Korčula, her love of the sea, sports and fashion combined with the island girl within her lead Fani to launch her own swimwear line. Her success was not achieved over night, she is a true result of “following your dreams” and her enthusiastic work ethic with her unique background has placed Fani on a level all herself. Born on the Croatian coastal city, Split and raised on Korčula an island of 5,000 people, her vivacious ambitions and lifelong dream of becoming a journalist lead her to Zagreb University where she graduated with a degree in journalism. Her motivation then pushed her to further her education with a Masters degree in T.V Production and Management at the European University of Madrid, Spain. It was here where Fani obtained the skills that jump-started her career as she was a 1 woman force;contacting, preparing, staging, producing and editing all her interviews herself. Fani holds dear the many lessons and real life values she learned along her journey to success and loves to share them with others especially with young people discovering their own life path. 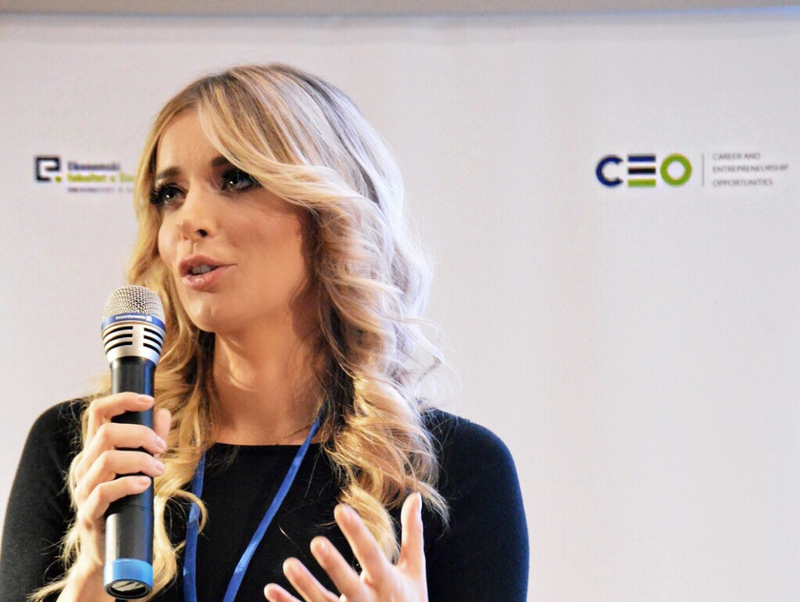 Now a certified life coach and motivational speaker, in 2015 she was among the most successful entrepreneurs in central Europe who spoke at the C.E.O. conference at the University of Economy in Croatia. Fani now lives in Madrid, Spain where she is in love with life, yoga, spirituality, and a 2 kilo Latin heartbreaker, Sauri, her pet chihuahua. I always say to everyone “Never forget where you came from and embrace your individuality”. I deeply believe that wherever life takes us, our goal should be to cultivate the simplest but most valuable life lessons and to make an impact. I believe we can’t do that by simply copying others, however we can use the inspiration we get from others and strive to become an inspiration to ourselves. My inspiration is my parents. I come from a very small place, Vela Luka, in the most beautiful island in Croatia, Korčula, and was raised in a loving family who sacrificed a lot to give me the best education and a chance to achieve my goals. I was very fortunate as a little girl to learn what it means to be given a chance. I’ve dedicated my life to education and worked from early age, and although I experimented different life paths, such as modelling. I’ve always remembered my dream to make an impact and inspire. and influence the people of Croatia, like the way their stories had influenced me. With that intention in mind, that’s how everything started. I’ve worked hard and failed a lot of times, but I’ve never been one to give up. That’s the secret of my success along with falling in love with my job again and again on a daily basis. You have to radiate love and love what you do. Never give up on your values, they will give you the faith you need to continue on your path. I invite you to my website to get to know me better, to get to know my story, to get to know the people that are leaders in their profession and to inspire you. Never stop dreaming, never stop believing in yourself and never stop investing in yourself. Life is a beautiful journey. Start your travels here. Nothing can fulfil your soul and lift your spirit better than helping the ones in need. Click & Tweet! Share and give as much as you can everyday! Train your discipline, workout and smile! There’s no better investment than investing in yourself! Click & Tweet! Stretch yourself from the inside and live to your full potential. Click & Tweet! Our thoughts are our only limitation in life! Looking for a motivational or inspiring speaker for your business event?